The Challenge to Change programme began here in April 2013, following Kainos’ successful tender for the Ministry of Justice’s Living Skills Plus contract. Haverigg is a male category C training prison in West Cumbria. 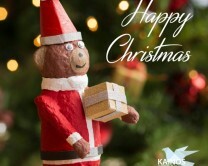 Kainos Bears (like the one featured below) have been in production on the Kainos wing at HMP Haverigg for over a year. It was the brainchild of one of the Challenge to Change participants, Harry, who made a bear by making papier mâché from a toilet roll. He used arts and crafts as a way to manage his ADHD and keep himself occupied. Another participant then painted the bear and started to collect pieces of flipchart paper and material to make the bears into ballerinas, princesses, prisoners and prison officers. The group then began to sell the bears to generate funds for the arts and crafts group, which allows participants to make personalised cards to send out to their families, helping them to keep in contact. 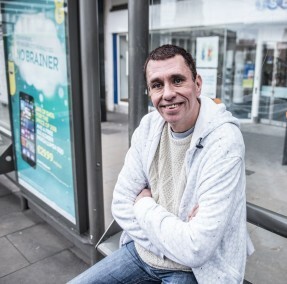 Harry has since graduated from Challenge to Change and the original painter of the bears went on to become a really positive peer mentor before successfully settling into the community. He trained another peer mentor, also with ADHD, to continue the work and the participants are now even taking orders for bespoke bears! The Kainos Bears project is an example of how a seed of an idea can grow to become a catalyst for change in others. We thank Harry for the courage to share his small idea and those that have carried it on. If you would like a Kainos Bear of your own, please contact admin@kainoscommunity.org along with your donation to place your order.